The Times New Roman: Halloween Decor Shopping - Come Along! 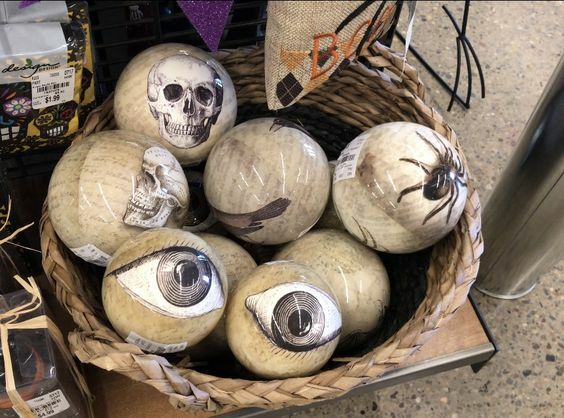 Halloween Decor Shopping - Come Along! Shopping for fall and Halloween decor is one of the things I look forward to most about this time of year! I spent a couple days traipsing around a few of my favorite haunts looking for new treasures to add to my collection. I had never been inside a Kirkland's store before but was impressed with quite a few of their seasonal selections including a stunning black and white 'Boo' pillar set. The shopping in Pittsburgh seems to be improving every year and it's getting overwhelming with all of the wonderful choices. I still appreciate my thrifted finds and upcycled crafts more than anything you could discover being mass-produced on the market today, but I can never resist a gorgeous velvet pumpkin, charming throw pillow or adorable country primitive black cat. Enjoy and please subscribe to my YouTube channel!